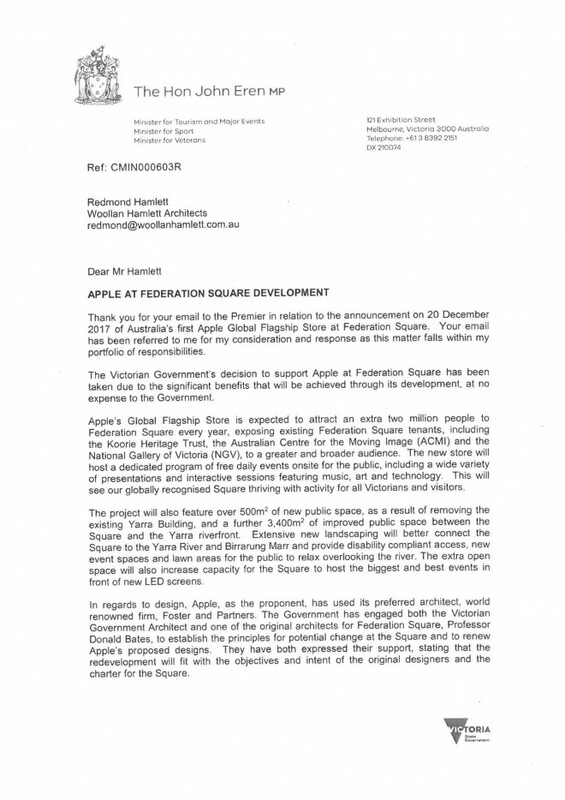 See below the response to my open letter to the Premier regarding the proposed Apple Store at Federation Square. Make what you think of the response from John Eren MP. 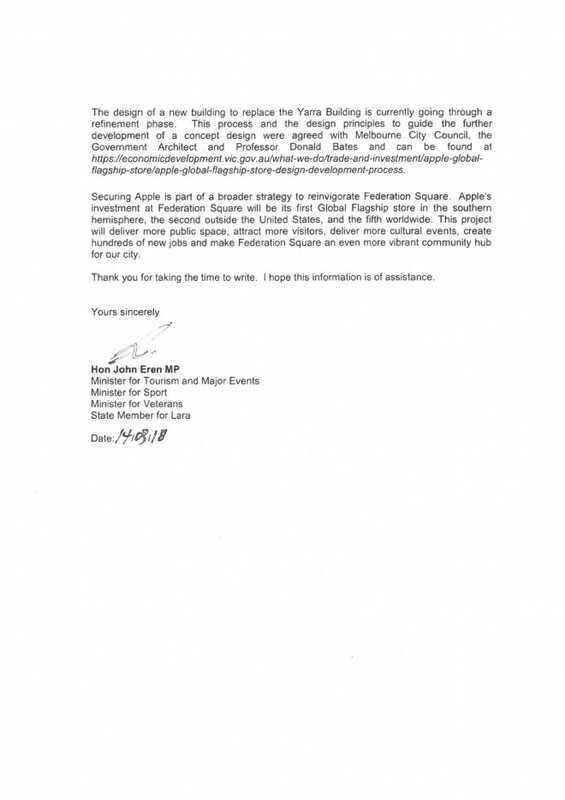 In the meantime, our friends at ‘Our City, Our Square’ are taking meaningful action to raise awareness about why our state government needs to listen to the people, rather than lobbyists when it comes to the decision making for public projects which have strong community interest. Will keep you posted.